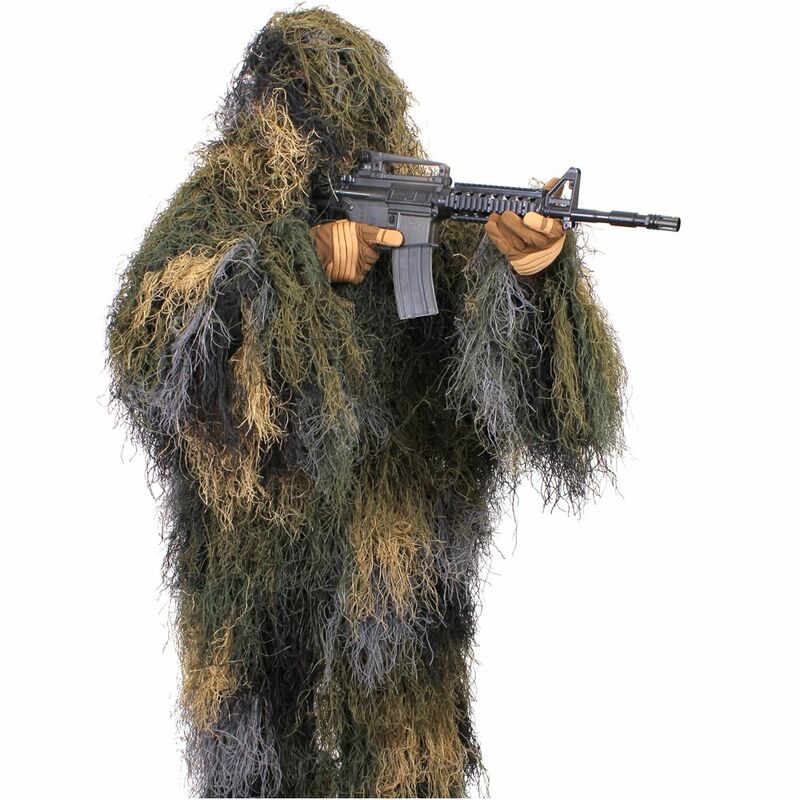 Lightweight Ghillie Jacket is perfect for hunting, airsoft or other tactical activities. The ghillie jacket is made of a lightweight, synthetic material that is fire, water and mildew resistant. The shell of the jacket has 3/4" netting material that allows you to insert natural vegetation or additional material for added camouflage. The camouflage jacket has a heavy duty molded zipper, cord locks, elastic cuffed sleeves and attached hood. Medium/Large Jackets Fit Up To A 48" chest, XL/XXL Jackets Fit Up To A 54".